The majority of bloggers and website owners probably know that WordPress has become the most widely used content management systems today. With its great features and wonderful plugins to use for optimizing your site, you can say that you already have the best CMS platform to use for building a website. While WordPress has become the most popular content management platform among bloggers and website owners, there are still many people who want to know more alternatives for website building. If you are looking for something different and unique and want to take a different direction in the kind of CMS platforms to use for making your website, here are 20 alternatives to WordPress that you can use instead. Joomla offers its users thousands of websites and themes to download and to use for building their website. This content management system has some powerful features to use instantly out of the box, among which include a good user management system, language and media manager, banner manager, web link management as among many others. You can easily syndicate the contents of your site. This makes it easier for your readers to subscribe from your website feeds. Text Pattern is a flexible CMS platform that you can use as an alternative to WordPress that is best for blogging although it has features that are optimized for building full sites as well. The user has more freedom to control the basic elements with a browser based template and CSS editing feature. Just like WordPress, the platform is also supported with many plugins. It uses a simple syntax that will give your content a nudge from designing a plain text for more stylish effects. It comes with cascading style sheets (CSS) rich features that make customization of fonts, color and sizes easier to manage. This open source content management platform provides tools for building websites for simple blogging to more corporate and enterprise websites. It has many applications that one can use in order to create any kind of website imaginable to its users. Drupal features include a UI and API that integrates components of the different modules to make them exportable in order to become available in a single module. There are about 22,175 modules available for your customization options. This alternative CMS platform allows its users to create a professional looking website for publication on the web. Movable Type comes with flexible themes and plugins to help its users enjoy more features to use on their website. It has easy to use dashboard and several custom fields to use to suit the kind of website design you have in mind. You can manage your page designs using the WYSIWYG editor and universal templates which are great for standalone sites. It also has engaging tools to help you create interactive websites. The simple to use interface of this CMS platform is a great feature enjoyed by its users. It comes with several theme design options and with simple CMS documentations to use for website building. It is easy to setup your website with its website building tools. Get Simple CMS is an XML based and standalone content management system in order to promote simplicity in managing your website content. You can also easily undo the actions that you do in order to spare yourself against making costly mistakes. Flexibility is the best feature of this open source platform. Whatever kind of a website you want to build, ExpressionEngine has easy to use features to accomplish your goals. It also has an analytic tool to track down your website performance with spam prevention features to prevent spam attack on your site. This CMS offers flexible templates to address your customization needs and it has CodeIgniter which is a PHP framework that most PHP developers prefer when creating websites. There are also add-ons that you can use in order to expand your website designs further. This platform has flexible templates to use for building your website with a simple user management system that saves the user against time consuming tasks of creating their website design. Frog CMS is PHP based therefore one need not use other scripting for their templates. There are customizable divisions that allow you to create a summary for your articles or use the extended text for your news content. Each page also comes with customizable layout which you can reuse for other web pages. FlatPress allows their users to save their content or posts as simple text files. It has themes that you can easily customize according to your desired design. It also has a plugin support with a backup system that is easy to use. You need not have to use SQL because PHP can make everything simplified. You can easily backup your website contents and design simply by copying a single directory. It has a widget support and with several plugins too. This is a well rounded solution for your content management system needs that supports multiple sites and users. If you already have a WordPress site and wants to transfer your content to Habari, you can always use its WordPress importer feature. You can create static pages, use plugins, and comes with a developer community to interact with. The platform runs on the servers of Apachi and CGI and supports MySQL, SQLite and PosgreSQL that are written in PHP. You can also re-write the URL with other features like chat, blog, content approval and page caching. The most appealing features of SquareSpace are the LayoutEngine application for editing your website. You can easily edit or resize your image with a grid based layout that helps you to easily find a balance when aligning your images. There are numerous themes that you can choose for your website design. The site offers a free sub domain that you can use for your website and can upgrade to premium if you like. 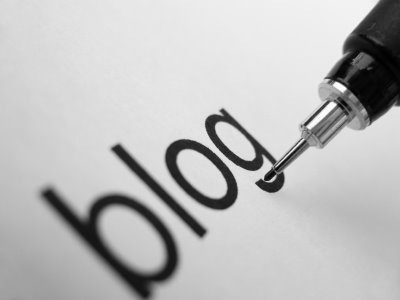 Blog.com also supports multiple authors and you can easily monetize your blog site by posting ads to your content. You can create your own domain name that will be appearing as yourname.blog.com. Its other integration features include tools to connect with social media sites like Facebook to share your posts and to track down your website statistics. This is an open source software for helping you to build great looking websites with easy to use CMS editor. It is most commonly used for making government sites, business sites and websites for non-profit organizations. Silver Stripe has numerous applications that help one to create stunning designs for websites with interactive social features. The platform uses code instead of a graphical user interface (GUIs) which is a good feature for beginners. There are also modules that you can in customizing your blog, web forms and forums. It also gives you more control in approving contents that are posted on your site. The CMS also observes open standards and not merely just an open source. It uses PHP, Java Script, CSS and HTML for installation. To use this platform, programming is no longer required and it does not demand the installation of a software. The user can easily edit their content and one can build their content even without a technical know-how. Its website building tools are convenient and easy to use, allowing you to design the web page exactly the way you want with simplicity in mind. You can build 5 free sites on its free package in 20 languages with unlimited site editors. Cushy CMS has a WYSIWYG editor, a secure FTP support and receives Microsoft based FTP and Internet Information Servers support. Tomato CMS offers a modern blogging platform and CMS open source for building websites. The platform is secured and SEO friendly. Its simple drag and drop editor makes the management of your content easy and convenient to perform. It comes with a theme selections with support for tagging, multimedia, menu, category and comment management system. It is supported with a plugin and hook architecture, a permission rule system based on CSL, clean HTML, visual layout editor and it is compatible with CSS 2 standards. The CMS is supported by Zend Framework, 960 grid and jQuery. Developers have more room more designing their websites because the platform follows the MVC design patterns as well as object oriented website design principles. This free open source for content management system platform can easily be downloaded to your web host with pre-theme varieties to choose from. Concrete5 supports eCommerce websites, image gallery, traffic and statistics management, chat feature and a Google map for your website. It also supports Vimeo and YouTube for your website. The meta data are flexible and comes with a vanity URL for search engine optimization. Other special features include automatic add on and theme installation, open marketplace for add on, creator editor groups and out of the box services like YouTube integration, Flash support, polls, RSS, Google maps and form generator. You can enjoy the design flexibility feature of this open source CMS platform. You can always try out PHP Melody with its free download to let you get a feel of its interface. You can easily integrate video content which is perfect for those who aim to launch a video website with the right tools to use. You can easily upload, import and embed YouTube videos to show a video stream to your site. Enjoy integrating videos, content and socials using this CMS platform to create a very appealing and interactive website. It supports PHP and MySQL hostings. While this open open source could not match WordPress site’s numerous plugins available to its users, Croogo is a good alternative to WordPress because it has almost similar features to use by its users. It is powered by Cake PHP MVC with a Twitter Boostrap to make a responsive user interface on your website. It has a wider range of taxonomies for your categories with a WYSIWYG editor with an attachment for your images and file uploads. It has ACL permission in order to manage your website users. This is an open source that is aimed at simplicity and openness. The user has a complete control over their content management system with an XML centric data tool and a growing extension library to use by its users. You can easily create elegant website designs with its website building tools. Symphony uses PHP for programming languages and uses MySQL for database. The other add on features for Symphony include content approval and database support. You can also edit the URL and perform page caching. Pods is more of a framework that you can use on your WordPress site where you can take control in adding pods to your contents and posts. Its functionality is supported with a UI that will make its management easier for its users. The heavy code implementation is also available for advanced users and the application does all the behind the scene heavy work in managing your pods. This is a great alternative to add some markup features on your WordPress site. Pods are GPLv2+ licensed PHP platform that gives you more options for extending your capabilities of creating, extending and managing content types from WordPress using PHP codebase. If you prefer to have a Flash content management system to use, this platform offers you the proper tool in creating functional and SEO optimized websites. Moto CMS is SEO friendly and specializes in creating Flash websites easily with a drag and drop website builder tool. About 300 designs are available, extendable features and handy widgets for better customization. Using its WYSIWYG editor is perfect for anyone at any level and skills. It offers tools to help index your website to the search engine with customizable features like auto generated maps, URL optimized for SEO, and Google Analytics. You will realize now that WordPress is not the only source for your content management system needs. There are many other blogging platforms that you can use with similar and even unique features than the WordPress platform to address your website building solution needs. I am using mostly WordPress on my blogs, but I am running a Pligg CMS site, for example (klinkk.com). Are you just using WordPress or have you ever tried another CMS? I have tried many of the list. I think blog.com itself using wordpress as their CMS because when I used it I saw wordpress dashboard. What to do say mate? It does not look to me it is WordPress at that dashboard, Atish…. Yes it is extremely slow! I have used before a long time it looked like wordpress to me.. It might be possible that they have made it almost like WP. It actually looks like a WP dashboard. That’s what I thought when I saw it in my Blog.com user panel. This is my first time in your blog and it is nice to connect with you. It’s also my first time to know that there are so many other Content Management Systems. I only knew of WordPress, which is what I am using right now and it is actually the only one I used so far. I also knew of Blogger and I heard about Joomla. That’s all. It’s good to be in the know of others that are available and you explained each one thoroughly here. Thanks Erik for an informative post. Have a great rest of the week. Blogger and WordPress are the most popular ways to blog, but there are so many other CMS out there. Who knows some of them will be come widely used someday. No doubt WordPress is most popular among the blogger. but as you said. most of blogger want to see new things in blogging. So this list is great of CMS. in which some of name I heard before but I never used else WordPress like Joomla, Drupal etc. all other are totally new for me. any way thanks for sharing such great list. Glad you learned something new from this post, Areesha. 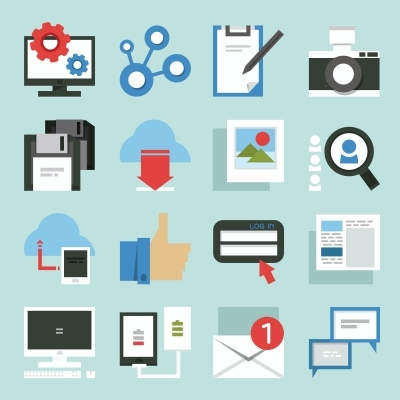 There are many CMS available for blogging out there! I have used WordPress and blogger and I feel very friendly and easy with blogger. All my needs are satisfied with blogger, maybe that’s why I don’t jump to WordPress. I am planning to build another website with wordpress. Sometimes if we stick with one CMS then we might fail to see the benefits in others. Joomla and Drupal are two I have heard of, rest are new. Will definitely check it out. Nice list. Have a great weekend buddy. That’s great you are satisfied with Blogger, Rohan. It’s still a popular way to blog nowadays. 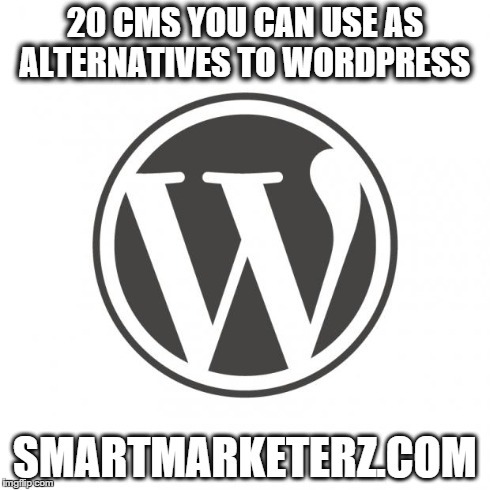 And most of all, cheaper than self hosted WordPress site. But you could try WordPress, may be you’ll find some features and benefits you enjoy more than Blogger. Thanks for taking the time to visit and comment here. I love Ghost. You should use that Erik! I need to check it, Dennis. Yeah Erik, closest thing to WordPress. Wonderful list it is! I’ve used only Drupal and Joomla. And, the both are best alternatives of wordpress. Both are easy to use. I never used others listed here. I would try some of them. Thanks for sharing so many alternatives of wordpress. Have a good day ahead! It’s good to have some alternatives to WordPress. Who knows the projects we need to work on future. Undoubtedly, WordPress is the first choice of bloggers, but there is another open source alternative that has built in blogging capabilities and packs more options that is Drupal. Drupal also has a Ping module that can turned on to alert services such as Pingomatic, Weblogs and Newsgator whenever a new content is posted much like WordPress. However, it does not have a built-in trackback feature. Glad to know that features about Drupal. Trying to work on Klinkk with Pligg CMS, but it’s just so hard! Right now i am getting 403 Forbidden error! I have tried Pligg and Buddypress, but gave-up long back due to too much spam registration and submission. I am aware about the 403 forbidden. I am trying to solve a big issue with Klinkk right now. As already mentioned, there are so many challenges on using Pligg CMS! Though I believe WordPress is the best CMS till now but as alternative I like only Drupal and Joomla. For specific purpose there are many other amazing alternatives too like for blogging, Blogger is best , for e-commerce, Magento is also amazing. Thanks for visiting and commenting, Parth Patel. In the past I’ve used Drupal and Joomla. I now use mainly WordPress because of its flexibility and ease of use for clients. Whist WordPress is by far the best CMS I’ve used, it’s popularity is its downfall. Hackers love targeting WordPress. I like to think I build solid sites – the core is always up to date, passwords are secure and only use trusted plugins if absolutely necessary. However, many of my WordPress sites are constantly under attack. Occasionally one is breached which is a serious headache. So, WordPress is great but using it is becoming increasingly troublesome. And for someone who relies on it to put food on the table it’s a bit worrying. I occasionally use ‘Hide My WP’ which is a useful security plugin. I’ve used others in the past but this is pretty solid. Ironic that a plugin is needed to secure a site due to plugin vulnerabilities! Hi! As an affiliate marketer, I really value wordpress widgets in how it helped my strategies in marketing online. It made me organize some of the stuff that I usually do online and it gave me less effort in stressing those spam threats in my blog. Thanks for this! The Square Space most appealing features is a valuable tip. Getting the right layout can be a challenge with some CMS platforms. I really enjoy this article and I will use these alternative platforms for web2.0 for my website. Really loved this list of best alternatives to WordPress CMS. It is very helpful especially for newcomers in the blogosphere. I wanted to ask about a reliable forum solution that is easy to manage. My personal preference is Xenforo but it’s paid and not all the beginners can afford it so which forum do you suggest that can be hosted on a shared hosting server? Dotnetnuke is the best cms platform. I have been using since 2005. Great stuff Erik. I beleive we have connected here for the first time but I must say you have really made a sound effort for the readers like us. Appreciate it. I have came across few WordPress but its really good know and add more into my list.